Rob is head of the firm's Commercial Property Team. Supported by his team, Rob specialises in all aspects of commercial property providing advice and assistance to clients on a local and national basis. Rob graduated in Law at the University of Hull and trained with a City of London firm, qualifying as a Solicitor in 1988. 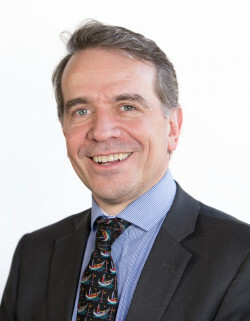 He joined Leathes Prior in 1994 and became a Partner of the firm in 1996. Rob is well known for his expertise in commercial property across East Anglia and is able to provide advice and assistance with a variety of matters. His areas of expertise include leasehold and freehold acquisitions and disposals, landlord and tenant issues, agriculture, residential and commercial development, commercial leases and investment property. Not afraid to tell you that there's a problem but will always advise what's in your best interest and how to achieve that. Rob Sibley is efficient, reliable and proactive and will go out of his way to deliver what you need. Rob Sibley is greatly appreciated for his client care skills. Clients applaud head of department Rob Sibley for rolling his sleeves up and getting things done quickly and thoroughly. Peers also enjoy working opposite him because of his highly intelligent and straightforward manner. Leathes Prior’s Rob Sibley is easy to work with, brings a strong dose of commercial reality to the legal process, and has a good sense of humour. Rob and Leathes Prior are leaders in Commercial Property.